Matt studied social work at the University of Birmingham and worked as a mental health social worker/ASW for 7 years. He was a Visiting Fellow at the University of Sussex, assisting in the delivery of their MSW programme. In 2004 he joined the National Institute for Mental Health (NIMHE) and was a member of the national service improvement team. He graduated to the Department of Health where he was the Deputy Director of the flagship Improving Access to Psychological Therapies (IAPT) programme, helping to convert an idea into a £1/2 billion nationally-delivered service. It was there that he developed his interest in how veterans and service families access health and social care services. 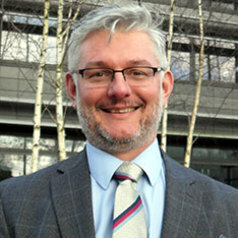 He has extensive expertise in the UK voluntary sector, including working with the mental health charities Mind and Rethink Mental Illness as National Stakeholder Manager on the national anti-stigma campaign "Time to Change". Matt is chair of the National Veterans Offender Working Group and is also a member of the DWP Veterans Working Group. Matt is a Senior Associate with the Centre for Mental Health. an influential mental health think tank. He is also vice-chair of Healthwatch Essex. Matt has written widely including publications on veterans' health and wellbeing, mental health and liaison psychiatry, including a number of key publications with economist Michael Parsonage.